Do you enjoy year-round decorative lighting? 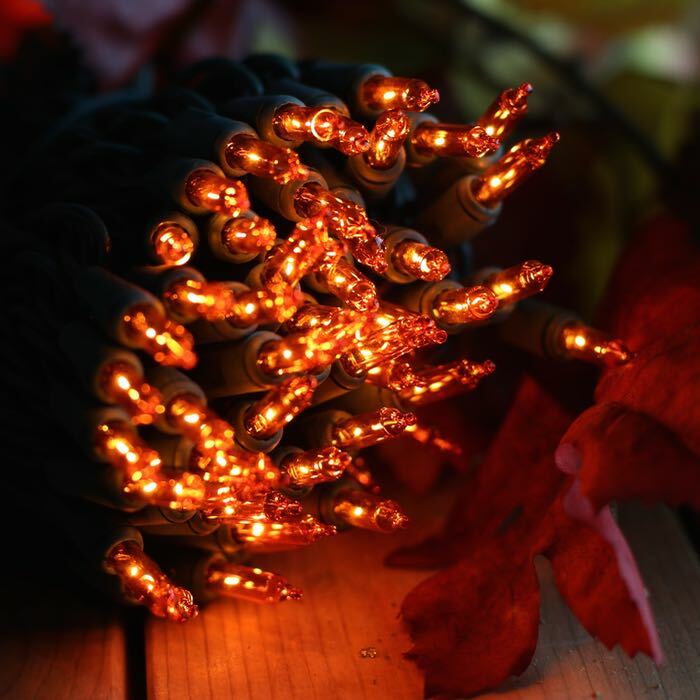 Usher in the holiday season even before December arrives with these 100 orange mini lights on green wire. 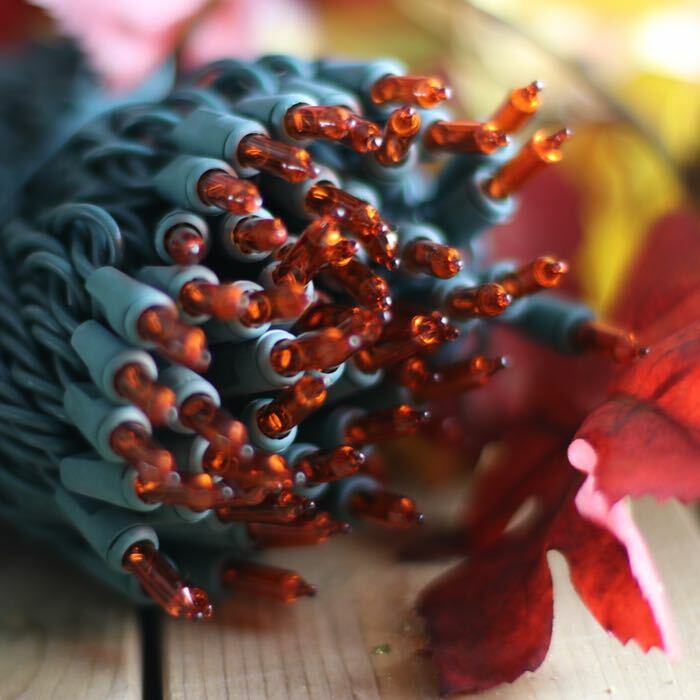 While Christmas may be the obvious time to decorate with lights, consider using orange mini lights even earlier, when the first hint of fall breeze arrives. October and November provide many opportunities to use these lights, which will add a beautiful amber glow to your indoor and outdoor festivities. Line sidewalks, wrap trees and fences with strands to welcome outdoor visitors. Use on stair bannisters and mantles combined with fall items such as gourds, pumpkins and dried leaves. With almost 34 feet in length and a maximum of 5 strings that you can run in series, these lights will be perfect for any fall lighting project. Q: if one bulb burns out will the rest of the string still shine ?